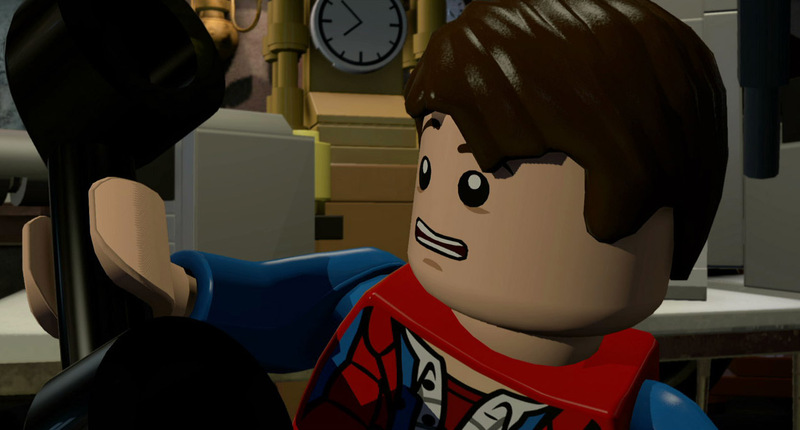 Lego Dimensions week on Tired Old Hack continues! Yesterday I reviewed the Simpsons Level Pack and today is the turn of the Back To The Future Level Pack. Keep checking back throughout the week for reviews of the other three Level Packs currently available. 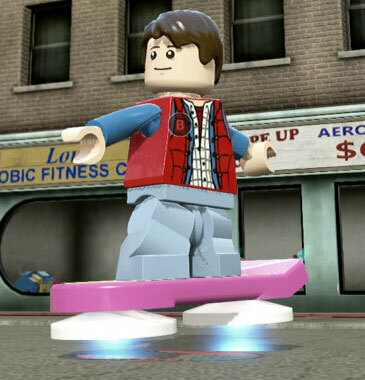 When Lego Dimensions was first announced, the confirmed franchise that excited me most was easily Back To The Future. I’m a huge fan of all three films in the classic ‘80s trilogy, so the thought of being able to finally play as Marty McFly (as opposed to just guiding him, as in Telltale’s decent point-and-click game) had me properly pumped. Unfortunately, of the five Lego Dimensions level packs released to date, this was the one that left me most wanting by the end. The new level you get with the level pack is simply named Back To The Future and is a retelling of the first movie’s story (albeit with some severe cuts made). The level is split into four sections. The first puts Marty in Doc Brown’s lab, and tasks you with exploring the room to find various bits and pieces to build Doc’s massive amplifier. Following a cut scene it’s off to the parking lot, where Marty finds Doc and is shown the DeLorean time machine. They’re then attacked by the Libyans and the second part of the level kicks off: here you have to build a special treadmill so you can drive the DeLorean on it to hit 88mph. When you do this, you head back to the ‘50s and end up in a barn for the level’s third stage, where you have to build a speed ramp to help you drive the DeLorean through the barn’s doors. Then, conveniently, a huge chunk of the story is skipped and you find yourself near the end of the movie for the final section. Here you have to run around the town square in Hill Valley and plug wires into massive sockets so you can harness the electrical storm and send Marty back to the future. I’m torn on this one. It’s clear that the team that put this together are huge Back To The Future fans since the attention to detail is brilliant. All the little ways the story is tweaked to make it more Lego-friendly are pleasantly adorable too: for example, instead of being shot by the Libyans, Doc is winded with a baseball to the gut. They even managed to get both Michael J Fox and Christopher Lloyd to return to their iconic roles and record all new dialogue for the level, which is a brilliant move considering the Simpsons pack only uses archive recordings. Unfortunately, while what’s here is brilliant, there just isn’t enough of it. While the Simpsons stage takes a little under an hour to beat in your first collectible-free playthrough, you can comfortably have this one licked (cut-scenes and all) in around 20 minutes. Each section in the Simpsons stage had a series of puzzles to solve but here you’ve just got four short areas with straightforward ‘explore and collect’ puzzles. Collect amp parts, collect treadmill parts, collect speed boost parts, find the three power plugs, roll credits. It could be argued that a lot of Back To The Future was dialogue-based so it’s perhaps understandable that most of it, such as the whole plot with Marty getting his parents back together, may not have worked as a game. But when an entire quarter of the level is based on the 30-second scene in which Marty’s DeLorean is in a 1950’s barn, I’m sure they could have managed something. Have us find the band members for the Enchantment Under The Sea dance or something. What’s here, I really love. But it’s nowhere near enough. At a third of the size of some other level packs, would it have been too much to ask to add some Back To The Future Part 2 or 3 elements in there too? After all, you get the Hoverboard with it. I’ll be honest, the main reason I wanted this set was to have my own wee Lego Marty McFly without spending a bomb on the big DeLorean set you can get. It’s worth it too: the Marty minifig is brilliant. It comes with a guitar and he has two faces: happy and scared. In-game, Marty is a ‘good news, bad news’ character. The good news is that his guitar makes him ridiculously powerful when fighting enemies, and when you do his jumping ground pound attack the shockwave it makes is enormous. Put him next to Bart Simpson and he’ll acknowledge that he’s a fellow skateboarder, asking if he’s ever tried a hoverboard. Or spawn Bad Cop from The Lego Movie and Marty will tell him to lighten up, saying his attitude is “worse than Strickland’s” (the school principal from the movie). The first of two buildable gadgets supplied with the level pack, the DeLorean Time Machine is obviously the iconic time machine from the movies. Maybe the developers thought we were ‘riding’ (ahem) our luck with the DeLorean’s awesomeness, because the second included gadget, the Hoverboard, is about as useful as an Arctic bikini. Almost everything you get in the Back To The Future level pack contains one big pro and one big con. The level itself is brilliantly detailed, but it’s over far sooner than you’d hope: clocking in at around 20 minutes it’s the shortest of the five level packs to date. 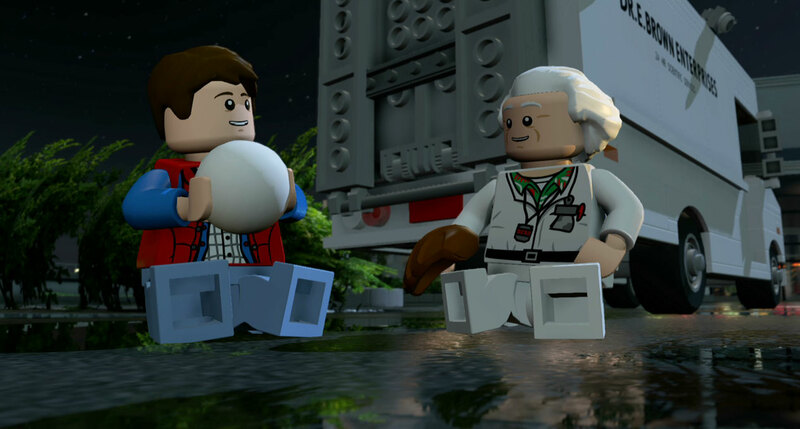 The playable Marty character has some fantastic bespoke dialogue and the minifig itself is brilliant, but with only one ability (already included in the Starter Pack) he’s one of the least useful characters in the game. The Hoverboard is the bloody Hoverboard, but as an in-game vehicle it’s about as useful as a book of the best pubs in North Korea. The only complete success is the DeLorean, which is a brilliant vehicle with upgrades that give you a wide range of abilities without compromising the iconic look of the car. 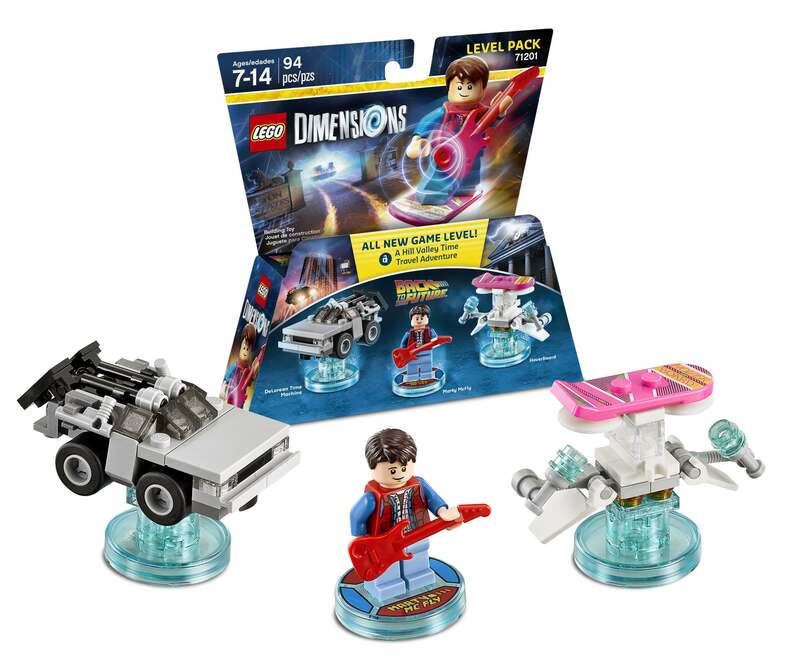 If you’re a Back To The Future fan you’ll want this just to hear Michael J Fox reprise his role again, but if you only have a passing interest in the series you might want to hold fire until it’s cheap enough for you to justify a 20-minute level, a minifig and two small Lego builds. I’m not a fan of speculating but it seems to me that this one’s a little undercooked. As the game’s launch date approached, I guess the developers weren’t ready for it yet. But their kids are gonna love it. 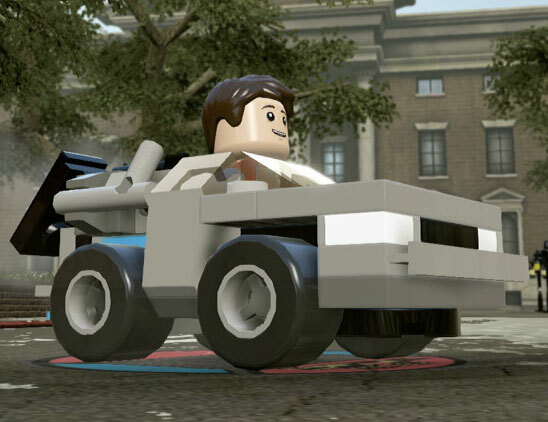 If you want to buy the Lego Dimensions Back To The Future Level Pack and fancy doing it through Amazon, please do it using this link: Amazon UK. It won’t cost you any extra and a cut of the profits will go to me, letting me invest back into improving the site. Disclaimer: This review was not based on a free promo copy. I bought this product myself. I like your review style, Chris. Very authentic :). Would love to feature your reviews in our weekly curated email digest that goes out to thousands of people.